We are incubating a handful of stealth projects through 2019. Keep an eye to the blog for product announcements regarding these. Podfarm is a podcast hosting service. 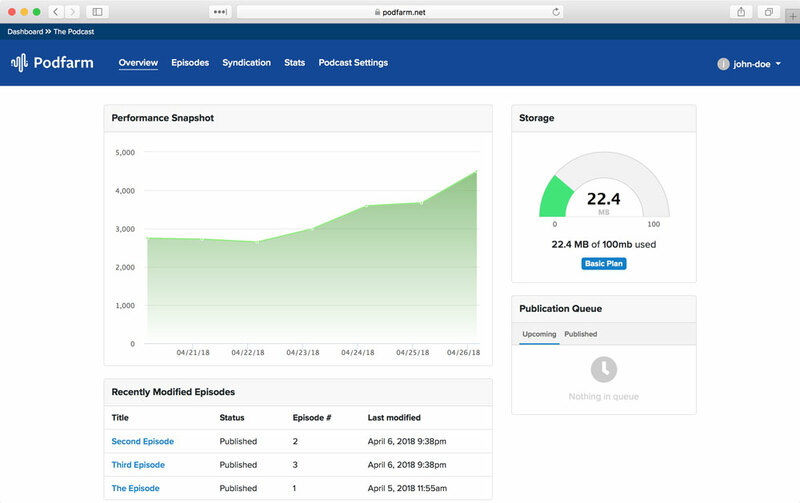 It provides tools for distributing podcasts across all major channels (such as Apple Podcasts and Google Play) in addition to offering detailed listener analytics and custom embeddable players.